Studies show that ambient lighting can have a direct effect on our mood and productivity. It can impact us at home, at work, at school, and just about anywhere we go. Ever noticed when you go to a restaurant they have specific lighting all around in varying intensity? There’s a reason for that. Have you ever seen those gigantic lights that are used in operating rooms? Precision and accuracy are what comes to mind with those type of lights. As many of us know, technology has played an essential part in the evolution of light bulbs. Great strides have been made to produce energy-efficient, long-lasting, and economical light bulbs today. Many of us are familiar with halogen bulbs and many of us are also familiar with LED light bulbs. I’m sure there was a time when we were thinking to ourselves, Halogen vs LED Lights and made considerations of various factors to make a decision. In an article from WebMD, workers are found to have a better quality of life and are more productive when exposed to natural light. The article goes on to further describe the study that included forty-nine day-shift office workers. In it, it states that “the study results confirm that light during the natural daylight hours has powerful effects on health.” So the next time you’re feeling a bit sluggish at work, try moving closer to a window or provide yourself with more light. Having more light will also alleviate headaches from eye strain. Your bedroom at home is your sanctuary. It’s a place you go to after a hard day’s work. It’s a place where you relax and unwind. 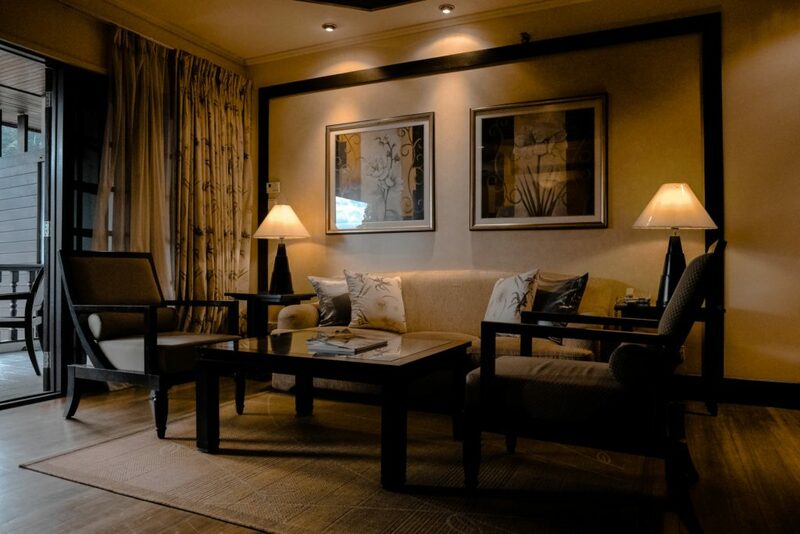 Lighting plays a big role in relaxing. You want the right amount of light to settle down comfortably. You also want ample light to get ready in the morning. For instance, if you’re an avid reader before bedtime, you would want lighting that will give you enough light to read your book, but not too overpowering that you won’t be able to fall asleep. Most use dimmers in the bedroom so that you can get a wide range of settings for light intensity. Lowering the light as you fall asleep will aid in getting a better night’s rest. What better way to relax than with a hot shower or a bubble bath at the end of the day. The lighting in the bathroom can also help with relaxation and rejuvenation. Turning down the lights or even using candlelight will help reduce stress while you soak in the tub. In the morning, natural light or white light can give you an energy boost to prepare for the day ahead and inspire a productive day. One of the most important areas in your home is the kitchen. The kitchen is associated with appetite and nourishment. Specific colors of lighting to varying intensities of light sets the tone for functionality and appetite. Today, there are many contemporary designs that implement the use of both natural and artificial lighting. During the day, you’d want to take advantage of the natural light outside. Windows and skylights can bring natural light indoors. In the evening, soft yellow hues can invoke the feelings of comfort. Lighting plays a significant role in the types of food you create in your kitchen. Lights can inspire to create chef-like dishes or perhaps a relative’s best kept secret recipe. Like many of us, our kitchen is also a place where we eat. Having the right amount of light can certainly create an enjoyable ambiance while eating, and can aid in promoting healthier eating habits. So you’re pumped to watch a movie or tv show on the television. You want to be focused on what you’re watching. Dimming the lights or turning it off completely can feel like you’re at the movie theatre. The excitement remains as you sit there in the dark, snacks on-hand, waiting with anticipation. Having a dimmed or dark room will ensure minimal distraction. You breathe in the fresh air outside. It’s evening and you’re not ready to go inside just yet. As darkness falls, a sense of calm comes over you. The moonlight shines bright and casts silhouettes around your patio floor. Moonlight not only calms but energizes the mind. Having minimal to medium lighting on your patio should be used to maintain the ambiance. Precision and accuracy are what we normally associate the lighting of hospitals with. Well-lit and bright overhead lights are used in hospitals to help healthcare professionals in caring for their patients. That is why it is important that hospitals have bright lights throughout the hospital. Bright white light also encourages and promotes patient recovery. In conclusion, light effects us in many ways and in different places. The color, the intensity, and the type of light used vary in many combinations. In today’s technology, there are LED lights that come with a remote control and are as thin as sheets of paper. They light up in various colors and can be attached anywhere. Smart lighting is trending as well. You can automate or control your lights with your smartphone or it can automate itself by adjusting to the time of day. There are many technological advances today for lighting.